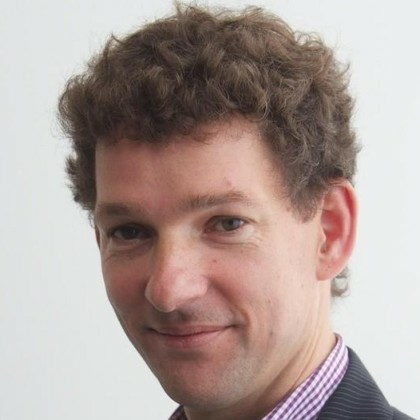 This year, we taught another edition of the TU Delft Teaching Software Architecture — With GitHub course. 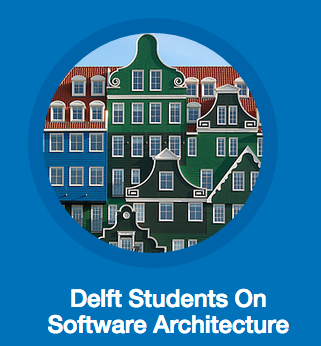 We are proud to announce the resulting on line book: Delft Students on Software Architecture is a collection of architectural descriptions of open source software systems written by students from Delft University of Technology during a master-level course taking place in the spring of 2015. At the start of the course, teams of 3-4 students could adopt a project of choice on GitHub. The projects selected had to be sufficiently complex and actively maintained (one or more pull requests merged per day). During a 10 week period, the students spent one third of their time on this course,and engaged with these systems in order to understand and describe their software architecture. Inspired by Brown and Wilsons’ Architecture of Open Source Applications, we decided to organize each description as a chapter, resulting in the present online book. The chapters share several common themes, which are based on smaller assignments the students conducted as part of the course. These themes cover different architectural ‘theories’ as available on the web or in textbooks. The course used Rozanski and Woods’ Software Systems Architecture, and therefore several of their architectural viewpoints and perspectives recur. The first theme is outward looking, focusing on the use of the system. Thus, many of the chapters contain an explicit stakeholder analysis, as well as a description of the context in which the systems operate. These were based on available online documentation, as well as on an analysis of open and recently closed issues for these systems. A second theme involves the development viewpoint, covering modules, layers, components, and their inter-dependencies. Furthermore, it addresses integration and testing processes used for the system under analysis. A third recurring theme is variability management. Many of today’s software systems are highly configurable. In such systems, different features can be enabled or disabled, at compile time or at run time. Using techniques from the field of product line engineering, several of the chapters provide feature-based variability models of the systems under study. A fourth theme is metrics-based evaluation of software architectures. Using such metrics architects can discuss (desired) quality attributes (performance, scaleability, maintainability, …) of a system quantitatively. Therefore various chapters discuss metrics and in some cases actual measurements tailored towards the systems under analysis. (Diaspora 5714, OpenRA 7486, OpenRA 7544, Kodi 6570), and helpful documentation such as a Play Framework screen cast. Through these contributions the students often interacted with lead developers and architects of the systems under study, gaining first-hand experience with the architectural trade-offs made in these systems. Working with the open source systems and describing their architectures has been a great experience, both for the teachers and the students. We hope you will enjoy reading the DESOSA chapters as much as we enjoyed writing them.